Woman Sitting At Home On The Sofa And Reading A Book. 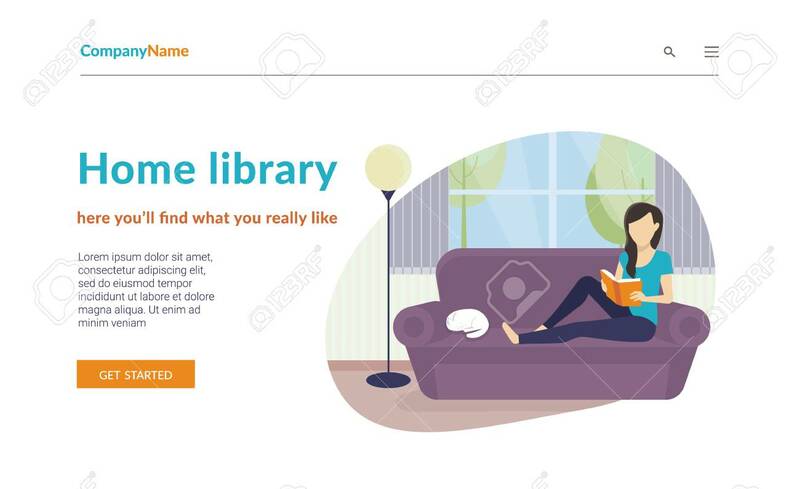 Flat Concept Vector Website Template And Landing Page Design Of Home Library Or Distance Learning Sevices And Educational Startup Lizenzfrei Nutzbare Vektorgrafiken, Clip Arts, Illustrationen. Image 115044208.